On the Eve of the Big Four-Oh – Tamara Shazam! Today was fine. Nothing big. I mean, I cried like a big ole baby about it being the last day I’m in my thirties and how much I love my life and I loved my thirties and my forties are gonna rock… Anyways, I think it was a little cathartic because I feel much better now. I said goodbye. Mourned it. Now I’m onto the next hot thang and that starts with the number four! I’ll muster the enthusiasm tomorrow. Cuz I’m a Hawt 39 year old for the next…three hours and ten minutes! 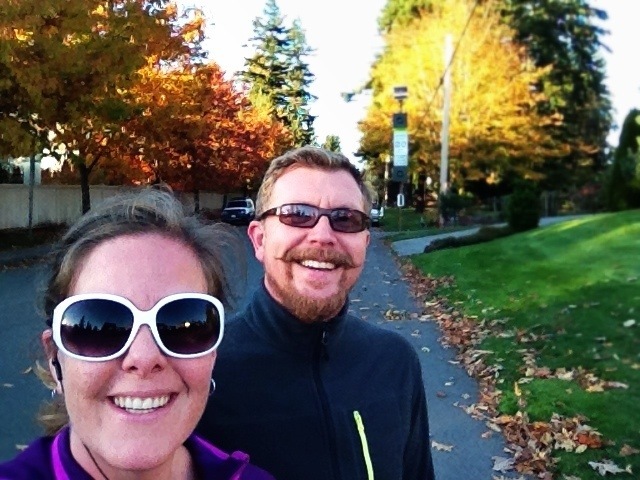 We went for a short run today- an easy two miler around our regular longer route. On the way home the wind was blustering around like mad and the leaves were flying through the sun every which way! It was all swishy and crunchy and crackly with every step. I loved our run today. Ok- three hours six minutes- Gotta go!